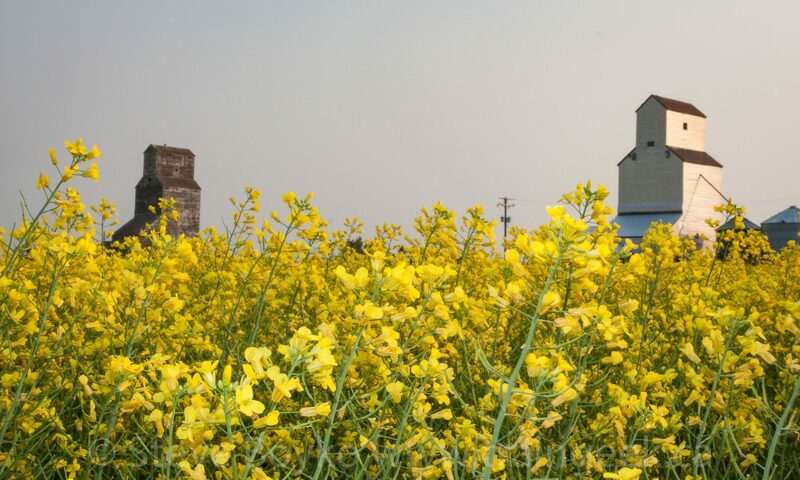 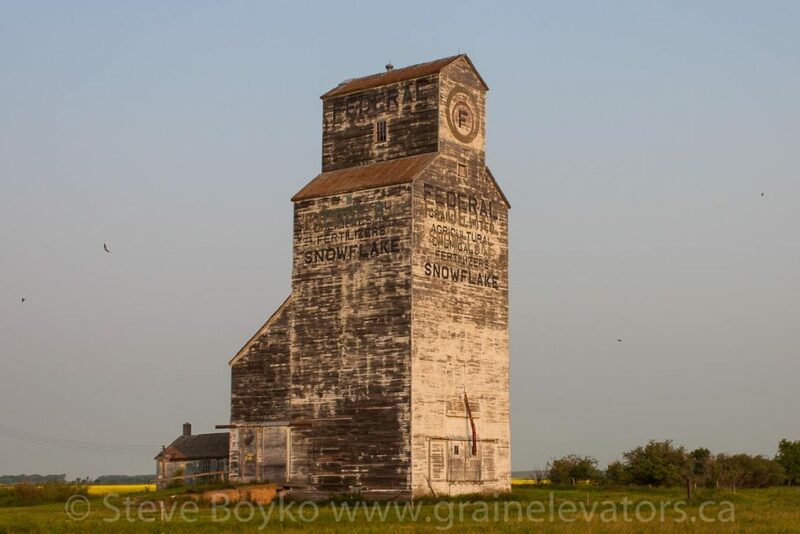 There are two grain elevators in the town of Snowflake, Manitoba. 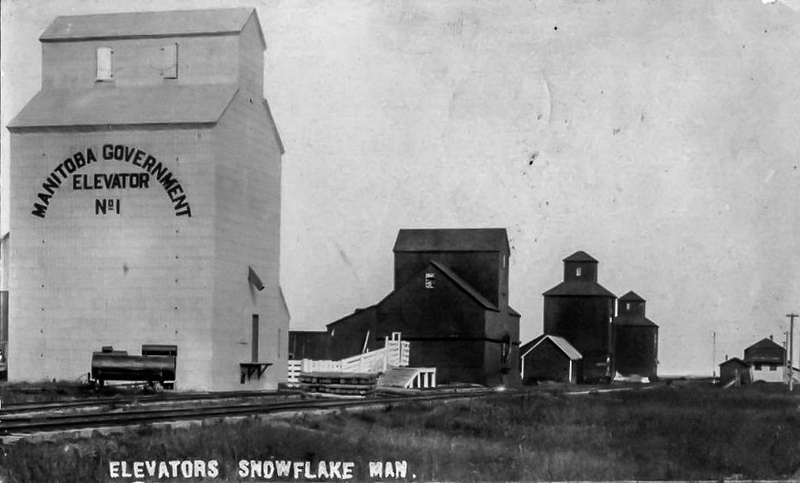 The first Snowflake grain elevator is a former Federal elevator. 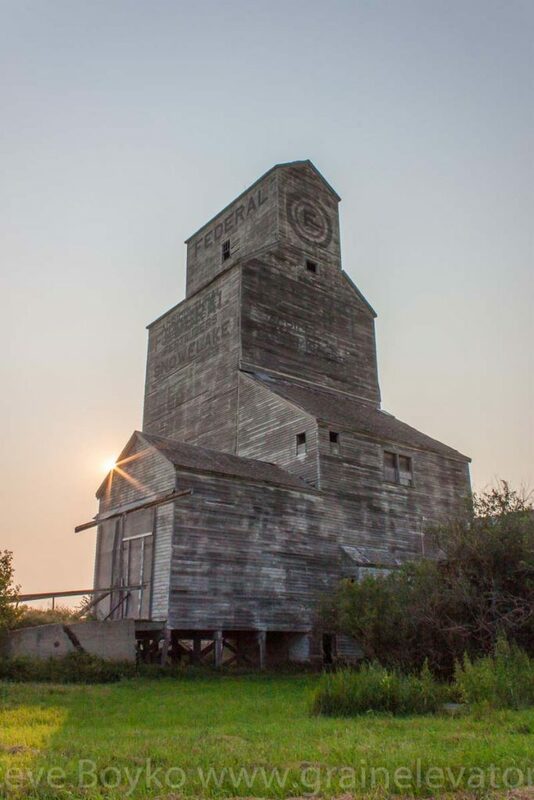 The sun rises behind the former Federal grain elevator in the ghost town of Snowflake, Manitoba. 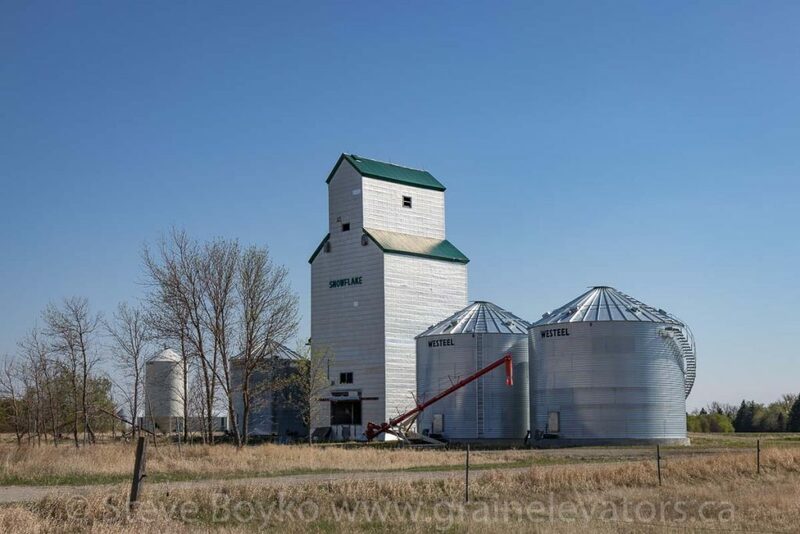 This elevator became the Manitoba Pool “B” elevator in Snowflake. 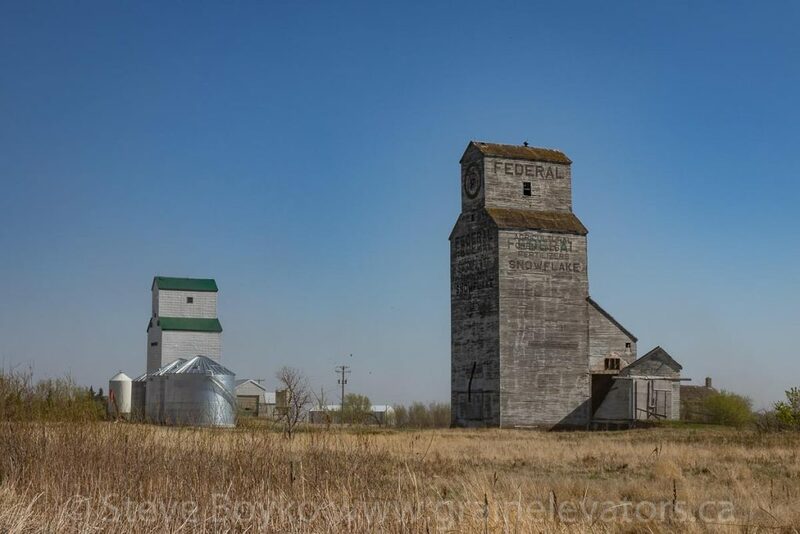 The heritage of the former Federal elevator is obvious now. 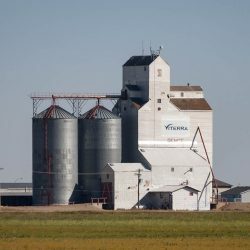 The elevator used to say “Federal Grain Limited – Agricultural Chemicals and Fertilizers – Snowflake”. 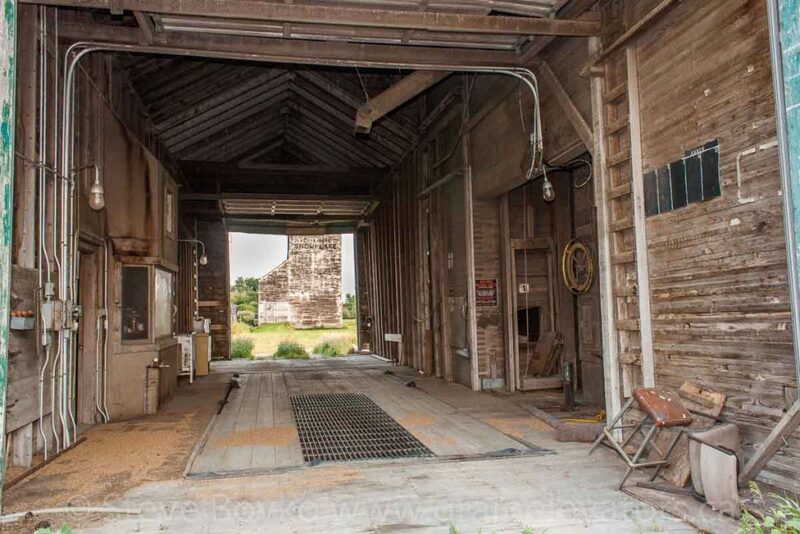 Snowflake’s rail access was via the CP Snowflake subdivision, but that was abandoned after 1977.